You are here: Home / Monthly Host Specials / Show Off the New Fall Products at YOUR September Norwex Party!! Show Off the New Fall Products at YOUR September Norwex Party!! Who is ready to settle in to a Fall schedule? As much as I love summer, after a few months of lagging routine I am ready to step into structure again and catch up with my friends. This is why I am so excited to share the September Host Specials with you! A Norwex party is the perfect way to gather everyone together and reconnect. You will also have the opportunity to earn some sweet Norwex products, even some new ones! Let’s check out the great products up for grabs in September! At the $350 level, every area of your home can get a lift from Norwex! My favorite item at this level is the Fluff and Tumbe Dryer Balls. 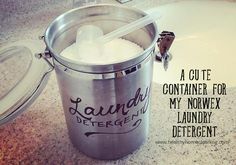 They are soooo quiet, cut at least 15 minutes off your drying time, are all-natural, and you can put some essential oils on them to add scent to your laundry. When I use these dryer balls, my washer and dryer end within a couple minutes of each other. It is very convenient for my laundry routine! You’ll also get to try to out the Microfiber Variety Pack, which contains travel size cloths of the Enviro Cloth, Window Cloth, and Body Cloth. Put them in your suitcase or gym bag for a little Norwex clean while you travel. An Enviro Cloth, Orchid Kitchen Cloth and a dark olive Optic Scarf are also yours at the $35o level. At the $550 level, you’ll have the opportunity to snag one of our new items: the Chenille Hand Towel! This hand towel has the fun microfiber fingers like the kid’s version and contains the BacLock™ feature so it will not harbor bacteria, mold, or mildew. The orchid Kitchen Towel also has BacLock™, which is great for all the surfaces and materials kitchen towels come in contact with. You can be sure that it will still be clean, from hand to dish drying. BacLock™ also extends how often you wash your cloths, but when it is time to, the $550 level also brings a bag of our amazing Ultra Power Plus laundry detergent. If you bump your party total up just another $50 to $600, you will earn a $50 shopping spree!! What are you hoping to get with your shopping spree? Want to try one of our new products? Or are you hoping that this extra credit along with your Host Free Dollars will mean you could get the Norwex Mop System? Start dreaming!! I am so excited that at the $750 level you can earn the Norwex Water Filtration System and a replacement filter. Not only does this system take out toxins like chlorine, copper, cadmium, mercury and lead, but it also adds magnesium, which is what some “name brand” water companies use to enhance the taste of their water. I’m sure once you try this filtration system, you won’t go back! Finally, at the $1000 level pat yourself on the back! You will have all the previously mentioned products and shopping spree headed your way, along with a jar of Cleaning Paste. This product is a must have for your fall cleaning. It is amazing at getting marks off the wall, making your pots and pans sparkle and getting almost anything off of anything! What level are you hoping to hit? What new products are you hoping to try with your shopping spree dollars? Be one of the first to show off the new products while you reconnect with friends! Contact me soon so we can set up your September party!! Earn NEW Products at your September Norwex Party!! Spring into Spring Cleaning during Norwex Mop Month! Accessorize your Sink at Your June Norwex Party! Don’t Dread Summer Chores! 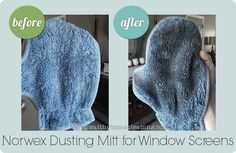 Get a Norwex Mop (for FREE)! Harvest Norwex at Your October Party!